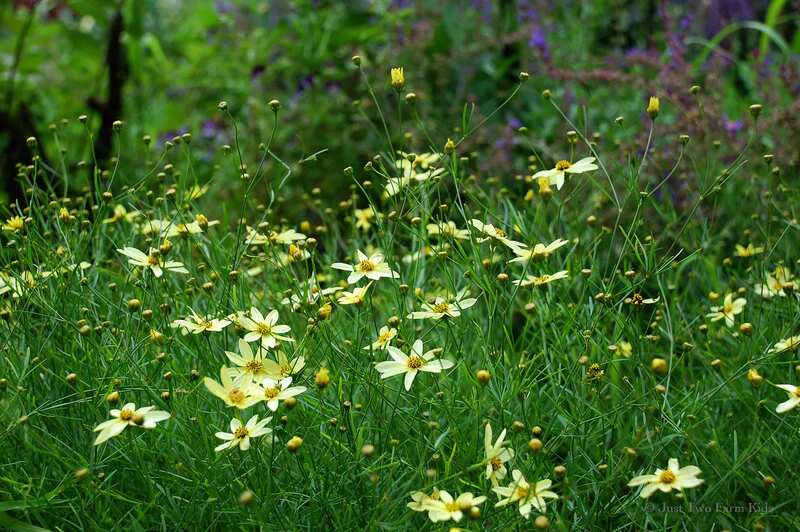 These whimsical Moonbeam Coreopsis plants are divisions off of plants that I moved from the garden in our last home. I keep dividing them and expanding them over the years. I love their airy appearance and the sprinkling of yellow they add to my garden. 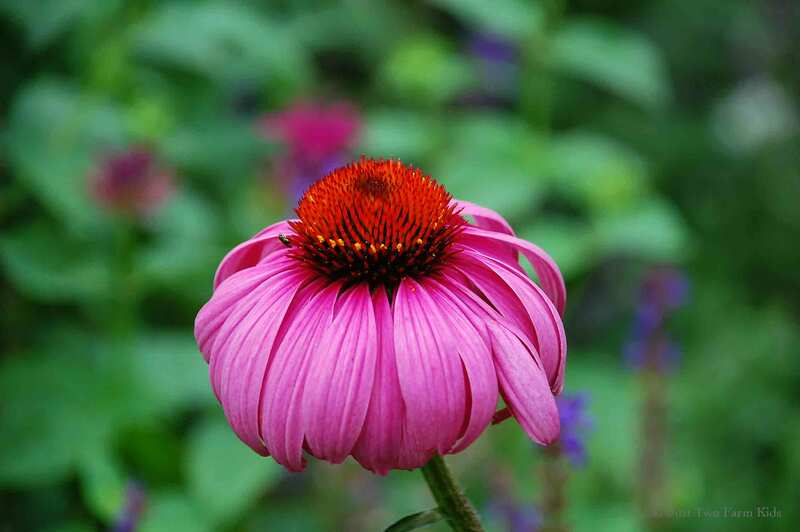 And what perennial garden is complete without the reliable Purple Coneflower? These long-lasting summer bloomers are a mainstay in my garden. 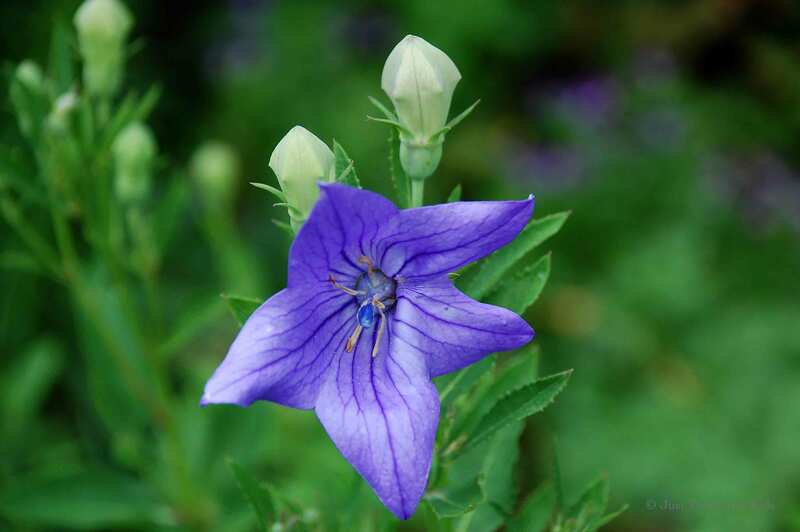 The purple Balloon flower is an interesting addition to the garden with its star-shaped flowers and balloon-shaped buds. 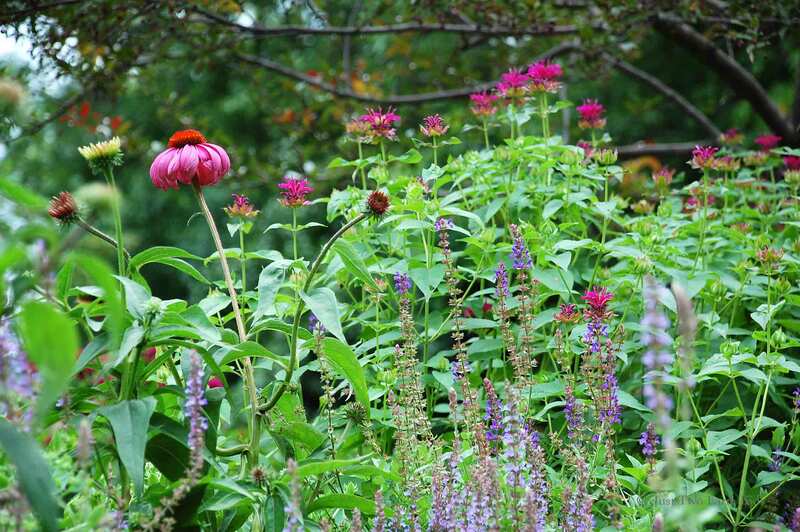 Some of the flowers start getting a little overgrown around midsummer, like the Salvia near the bottom of the picture. After taking this photo, I pruned these plants back to allow for another round of blooms in the fall. The Daisies are transplants from my cutting garden. I started them by seed last year and moved them into my main perennial garden this spring. 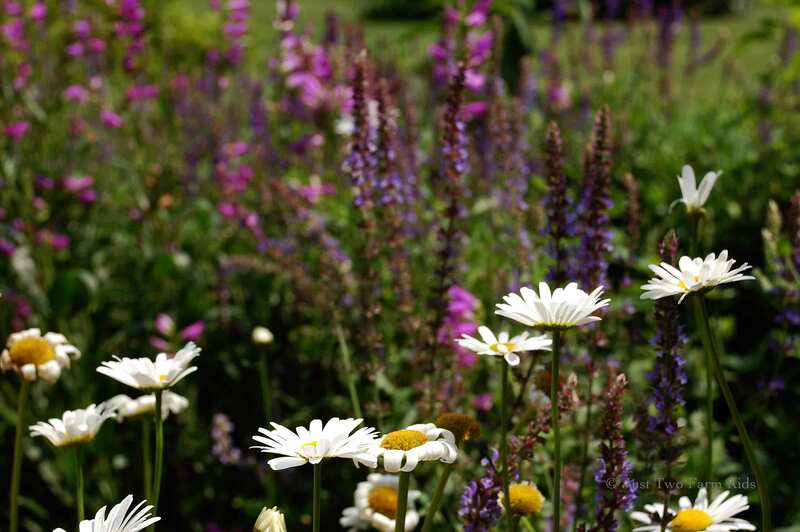 So, what is blooming in your garden this time of year? 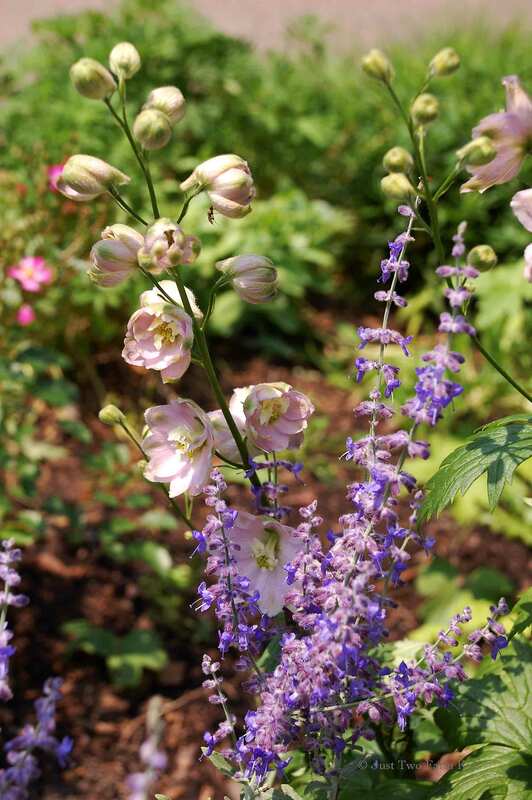 Good shots of your early-blooming perennials. Love to see the pics as I’ve just been replanting my own perennial gardens after a few years of not having a big garden (too many moves). My daylily collection is currently in full bloom as backbone flowers for the sun borders and the Echinacea are starting to fully expand. Hosta are starting to bloom in the shade. 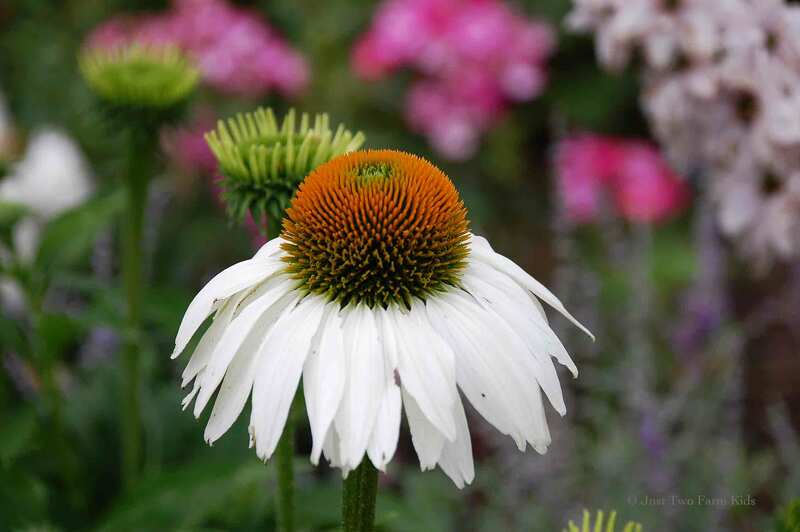 Unfortunately, the gardens are too young to be full but wait a few years…. Just lovely…I need to plant more perennials. Except for a Maximilian Sunflower my only perennials are the wildflowers that grow in our pasture!